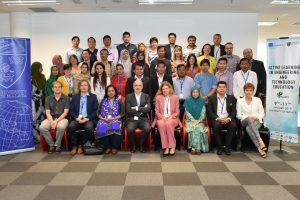 The 2nd Consortium meeting was held in Kuala Lumpur, Malaysia on 9-11 January 2019 with the participation of the University of Malaya (Malaysia), University Tenaga Nacional (Malaysia), Kathmandu University (Nepal), Tribhuvan University (Nepal), ISRA University (Pakistan), National University of Computer and Emerging Sciences (Pakistan ), Mean Chey University (Cambodia), Institute of Technology Cambodia (Cambodia), University of Battambang (Cambodia), Hanoi University (Vietnam), Hanoi University of Science and Technology (Vietnam), Vietnam National University (Vietnam), University of Gabrovo (Bulgaria), Porto Polytechnic (Portugal), Tallinn University (Estonia), University of Central Lancashire (United Kingdom), and University of Thessaly. At the meeting the partners of the research programme had the opportunity to collaborate in the design of learning services that combine the problem-central learning with technology. 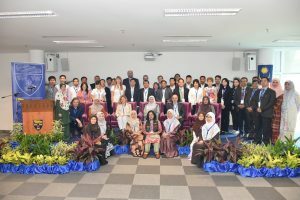 The work of the meeting was opened by the Vice Rector of the University of Malaya Prof. Dr. Kamila Ghazali and the Dean of the Faculty of Computer Science of the University of Malaya, Prof. Dr. Abrizah Abdullah.